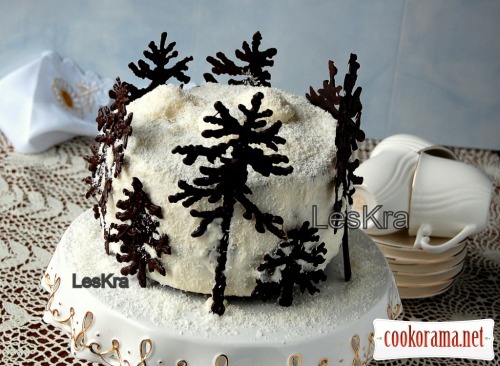 Cake "Cherries in drunken chocolate"
Торт "Вишня в пьяном шоколаде"
Торт "Вишня в п'яному шоколаді"
Yes, exactly cherries in drunken chocolate, not a drunken cherry in chocolate. Combination of tastes is great: chocolate, coffee, cognac, cherries and cream! For cakes mix butter with sugar and sour cream. Divide mass in 2 parts. Mix flour with salt and soda. Divide in 2 parts. 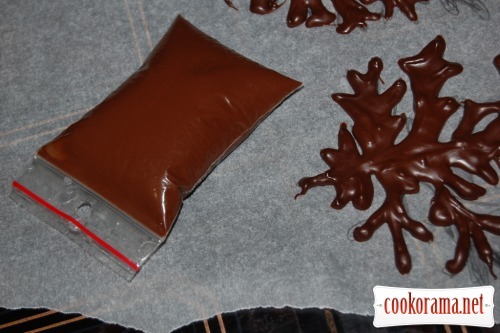 To one add 2\\3 of cocoa. To the second — 1\\3 of cocoa and instant coffee. Mix first part of mass with cocoa mass, and second – with coffee-cocoa mass. Bake two cakes at 180℃ for 30 min. Cool it. 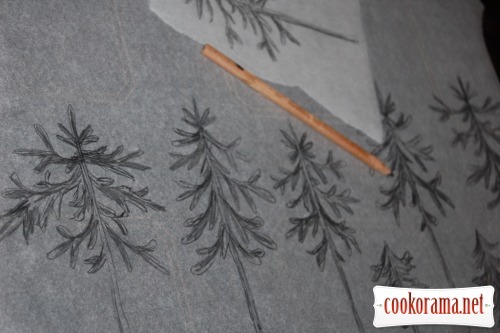 Cut each in 2 layers. Soak each layer with cherry juice. For cream pour chocolate with cherry juice and cognac. Heat to dissolve. Put in the freezer for 45 min. Mix in a bowl with ice into fluffy mass (bowl with cream put in a bigger bowl with cold water, ice or snow). 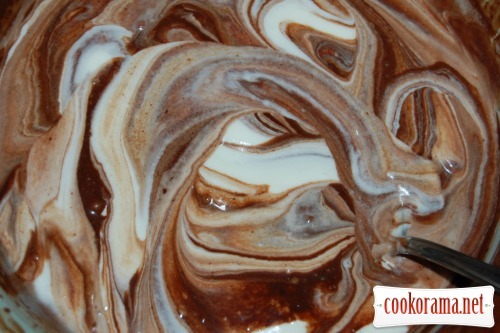 Add mixed with sugar 2\\3 of cream and mix everything with baking powder. On each cake put cream and strained cherries. 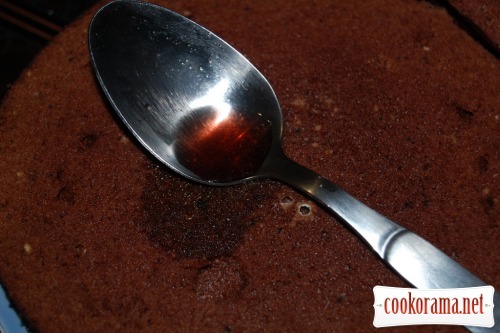 Draw up cakes, alternating chocolate and chocolate-coffee. On the top put the rest of the mixed cream. Sprinkle with coconut. 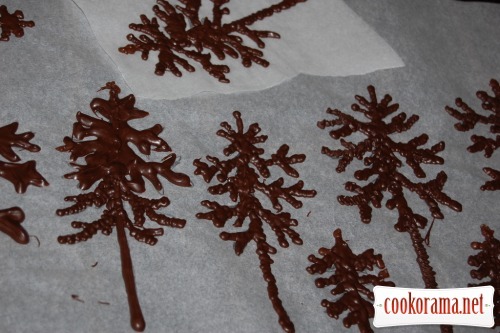 Decorate with chocolate fir trees. 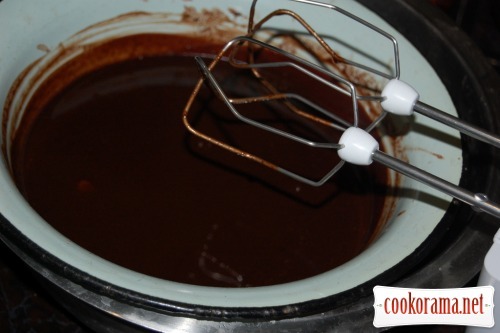 Top of recipe "Cake "Cherries in drunken chocolate""
Ну так, як зараз в лісі. Біло --біло, і дерева мов шоколадні стоять. Гарний тортик! Класний тортик, ще й з коньячком! Ну что здесь скажешь! Эти елочки давно меня уже покорили! Очень вкусно и красиво! вкусный торт с прекрасно сочетаемыми ингредиентами!!! сервировка замечательная, браво!!! Что может быть вкуснее вишни и шоколада — моё любимое сочетание! Всё красиво! А коньячок точно для согрева в такой холод! Торт вийшов дуже красивим, але мав гіркуватий присмак. Для намазування торту з боків знадобилося в 2 рази більше вершків. Хоч дуже люблю все «шоколадне», але цей рецепт не сподобався. 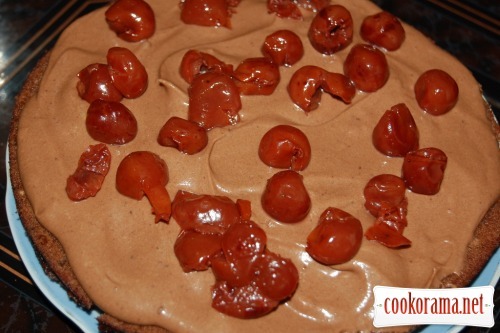 Recipes, Cakes, Cake "Cherries in drunken chocolate"